"Federer’s 7-2 lead does merit consideration - he’s won 67.7% of service points in these matches, with Nishikori’s serve failing to threaten Federer, winning a mere 59.3% of points on serve - translating to a service hold percentage barely above the 70% mark." 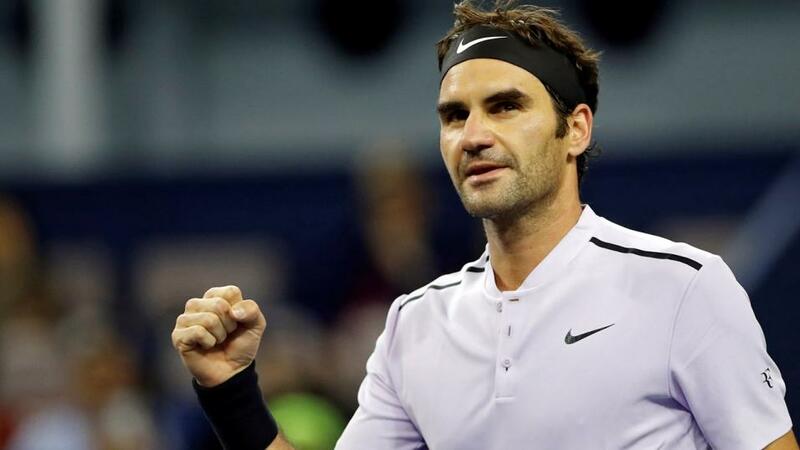 After a week off following the Paris Masters, the ATP Tour concludes for the 2018 season with the Tour Finals taking place in London over the coming week. Today through to Friday plays host to the group stages, with each player having a rest day between each group match. Following this, the top two from each group qualify to Saturday's semi-finals, with the final scheduled for Sunday. The event begins with a rather low profile start, with Kevin Anderson and Dominic Thiem getting proceedings underway, not before 2pm UK time. For this, it's the South African, Anderson, as a very marginal [1.92] favourite. My perception is that it is very difficult to make a case for either player at current market prices. In previous matches, Anderson has a 6-2 head to head lead, but this year, Thiem has won both their meetings in straight sets. Furthermore, there is very little to split the two players in these head to head matches, with Anderson winning 69.5% of service points, and Thiem 68.5%. Where Anderson has an advantage is in their nine tiebreaks, winning six, but particularly when you consider two very evenly matched players, this success is quite variance-driven. All told, it's tough to give Anderson's head to head record much credence, and I don't think it has any bearing whatsoever on today's match. Looking at the two player's records indoors in the last 12 months, it's also difficult to split them. Anderson has held 91.1% and broken 12.0% (combined 103.3%) while Thiem's figure is identical, at 103.3% as well - albeit with a rather more return-orientated dynamic. Longer-term, Anderson does have better indoor data, but with Thiem not quite suffering his post-US Open drop in level this year (perhaps by accident - injury - rather than design, he didn't face such an arduous schedule this year). Bearing the above in mind, it's difficult to hugely disagree with the current market pricing, and I don't perceive there to be actionable value either way here. This evening's match features the tournament second favourite - and favourite for the Hewitt group - Roger Federer, as he meets Kei Nishikori. Unsurprisingly, Federer is a heavy favourite, with the Exchange currently pricing the Swiss legend at [1.29], although I think this is a little short. However, the [4.3] about Nishikori isn't big enough to warrant consideration either - I'd prefer around [4.5] or bigger. After a solid start to their head to head series, taking two of their first three meetings, Nishikori has lost six on the spin to Federer, taking just three of 16 sets in the process. While we discussed that Anderson's 6-2 head to head lead has little relevance to his match-up with Thiem, Federer's 7-2 lead does merit consideration - he's won 67.7% of service points in these matches, with Nishikori's serve failing to threaten Federer, winning a mere 59.3% of points on serve - translating to a service hold percentage barely above the 70% mark. However, we must also give the Japanese man credit for getting back towards his best level - he's held 88.2% and broken 25.9% in 16 indoor matches in the last three months (combined 114.1%) and these numbers are similar to Federer's data over the same time period. Again, it's tough to want to go either way on prices. I'm not going to recommend something that my numbers don't advocate, and I'll be back tomorrow to preview the two matches in the Kuerten group, as well as all week as the tournament continues.